After nearly 10 years in the league NFL and New England Patriots star Rob Gronkowski is retiring. UNITED STATES—The rumor mill had been churning for quite some time, but NFL star and New England Patriots tight-end Rob Gronkowski made it official on Sunday, March 24 that he is retiring from the sport. 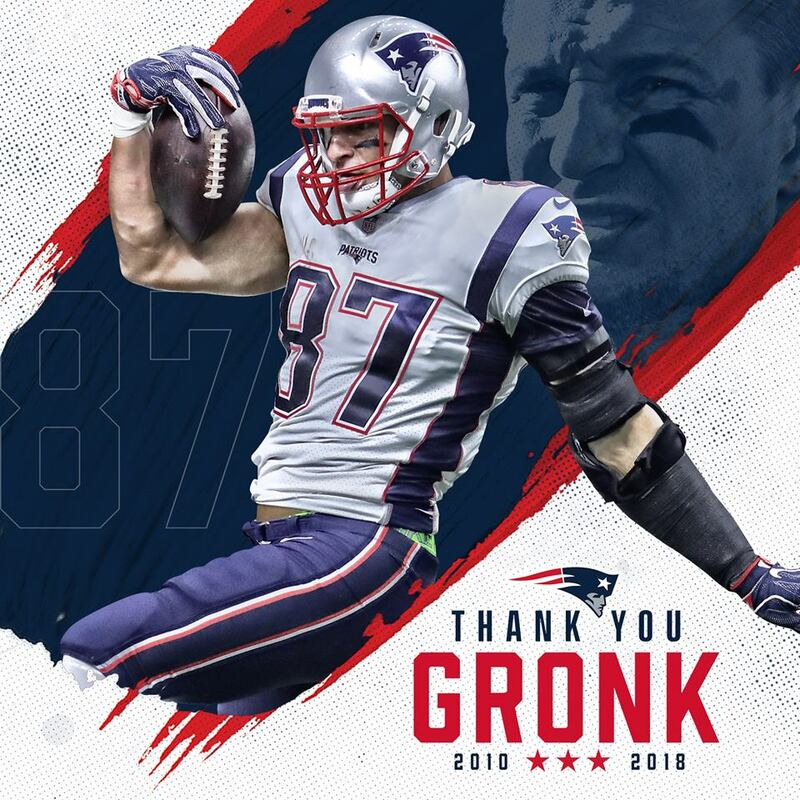 Gronkowski indicated in a lengthy Instagram post that he was taking off the uniform once and for all. “It all started at 20 years old on stage at the NFL draft when my dream came true, and now here I am about to turn 30 in a few months with a decision I feel is the biggest of my life so far. I will be retiring from the game of football today. I am so grateful for the opportunity that Mr. Kraft and Coach Belichick gave to me when drafting my silliness in 2010. My life experiences over the last 9 years have been amazing both on and off the field. The people I have meet, the relationships I have built, the championships I have been a part of, I just want to thank the whole New England Patriots organization for every opportunity I have been giving and learning the great values of life that I can apply to mine. Gronkowski has been a major player in helping the Patriots win several Super Bowls in recent years. Rob has won three Super Bowl rings with the organization since joining in 2010. Some might be wondering how Gronk’s departure will impact the Patriots, and I must say I do believe it will impact the team. Gronk and Brady have a dynamic partnership. Gronk was the go to guy for Tom when he was in a tight and needed to complete a pass or make something happen. Without Gronk in his corner, Brady will have to rely on other teammates, notably Julian Edelman. Next articleThe Sweet 16 Is Set!